Normal business around Other equipment maintenance etc. The touch is also good. I do not care about static electricity and it will be shaky because it is hard to wrinkle! ! This review is about item#58379097. It grows a little, so it is very good when you work with bending. This review is about item#5865833. It was somewhat smoother than the article I was thinking about, and it was comfortable to wear. This review is about item#31372294. I like the point that I can use for casual wear, not jeans. I like to be attached to dubs, so I think that it is a good item for those with such dress. Two Tack. It is likely to have durability. This review is about item#5865754. For work, something sitting on the floor or becoming dirty sticks to the pants. But I am pretty commuting so I'm pretty lucky and I think Cospa is the best. 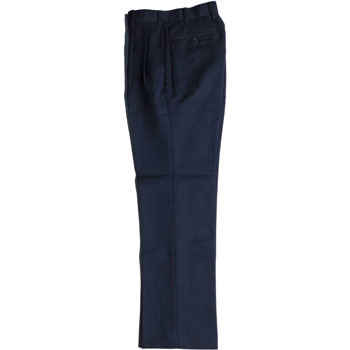 Quality is also complaints. .
Up to now, I have worn common slacks (black), but this is the best. I'm thinking of buying another one. . I have been using it since 10 years ago. It is difficult for the fabric to soften and wrinkle, and I also purchased it because it feels good. This review is about item#6339137. It seems that sewing is solid and lasts long. Comfort is also easy. This review is about item#58379081. This review is about item#06339112. It is easy to wear. I buy it every year. This review is about item#07230343. Safety Sneaker, "Mandom Safety #737"